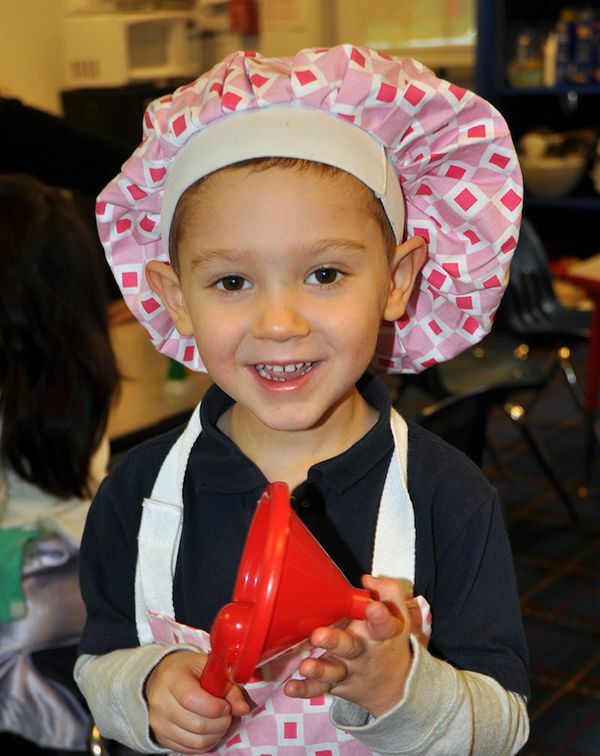 As Long Island’s premier early childhood school we take the time to uncover each child’s genius. Everyday our superb teachers provide your child with the right mix of challenge and support to go a bit beyond what we accomplished yesterday. 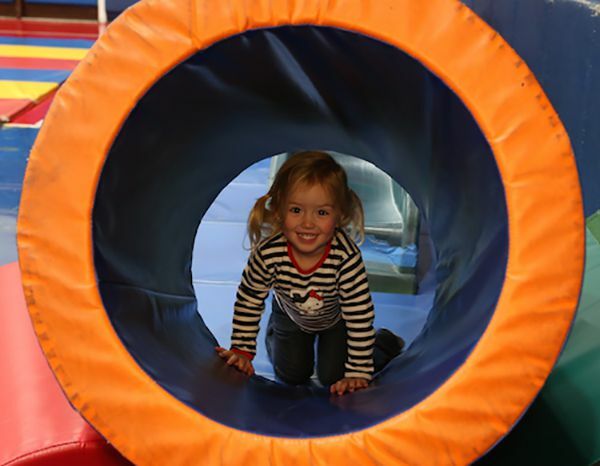 At Ivy League, we believe that pre-school is the place where children are most likely to develop a positive attitude toward school and to themselves as learners. With this in mind, each classroom is treated first and foremost as a small community where children’s emotional and physical needs are responded to with warmth and reassurance and where children learn to function effectively in a group. At the same time, a low student-to-faculty ratio, consistently provides each child with personalized attention according to their developmental needs, learning styles and ways of being in the world. Ivy League draws its curriculum from the extensive research on the development patterns of young children and the prerequisite vocabulary knowledge & skills need to succeed as a learner in the later grades. Within this framework, our teachers use their experience and expertise to create engaging theme based units known to appeal to young children’s interest. Reading, writing and mathematical readiness skills are essential elements of each activity, building both background knowledge and vocabulary for studies in later grades. A variety of instructional approaches, materials and strategies that are of interest to both genders, and to a full range of ability levels are utilized to help broaden children’s learning and make the most of their growing independence. Fostering children’s aesthetics sensibilities and creative expression through art, music and imaginative play are also cornerstones of our curriculum. By cultivating artistic expression in the classroom, teachers are providing each child a way to freely express ideas, feelings and their understanding about the world. Additionally, there is a dedicated music teacher who leads our children in song because there is no group experience more joyful than making music together. To support learning, our classrooms are overflowing with hands-on materials and equipment to actively engage children in investigating and exploring their immediate environment and the natural world they live in. 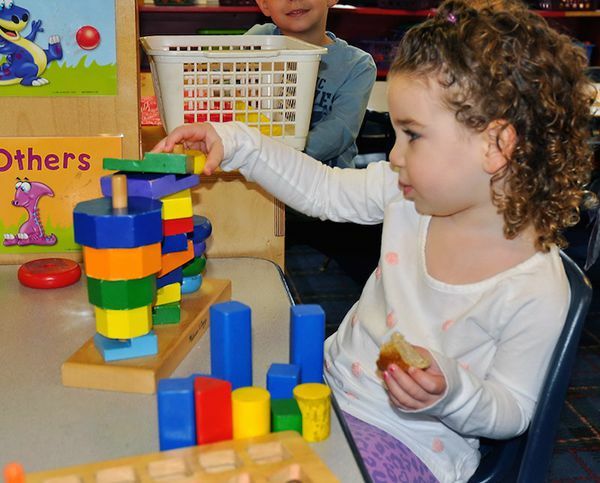 Easels, blocks, sensory tables, smartboard technology and lots of good books and other manipulatives are basic to every classroom and give children plenty of opportunities to engage in sustained activities, socialize, and play. 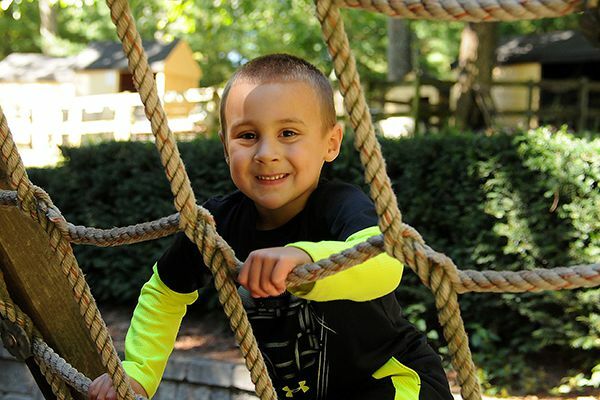 To ensure adequate exercise and physical activity, our beautiful campus is equipped with several age appropriate playgrounds which offer plenty of opportunities to develop muscle coordination, socialize and engage in pretend play. In physical education, children are introduced to simple games and relays which emphasize rules such as taking turns, and cooperating with peers. During gymnastics instruction, the emphasis is on individual development, balance and coordination. With frequent and open communication, teachers and parents work together to enhance the growth and development of each child. You can also keep abreast of what is happening in your child’s classroom via Ivy League’s portal and through regularly scheduled parent teacher conferences. You are always welcome to contact your child’s teacher or the administration and expect a call back promptly. Additionally, we invite our families to take part in the many classroom and school-wide events and celebrations held throughout the year. 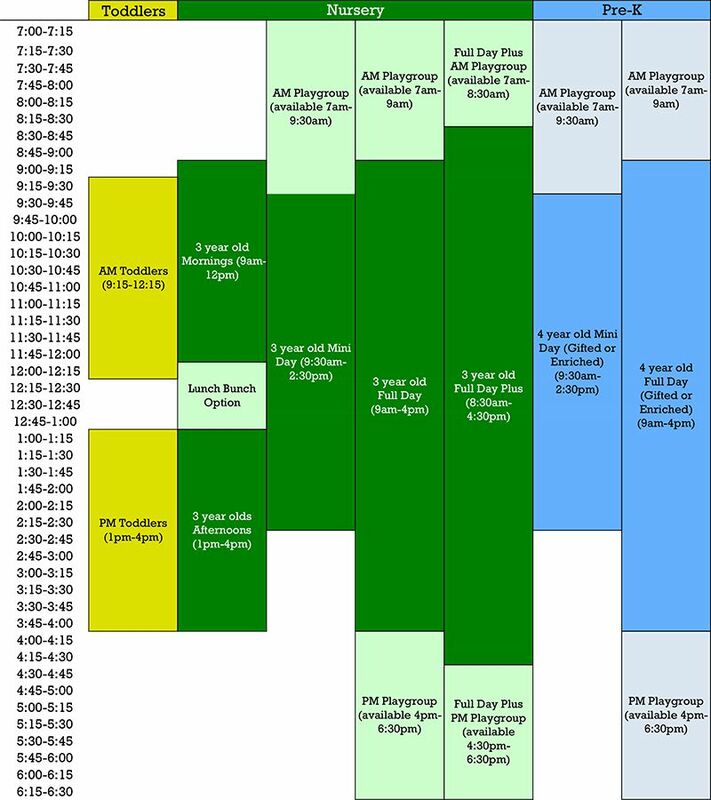 The following chart outlines the schedule for each of our available programs.